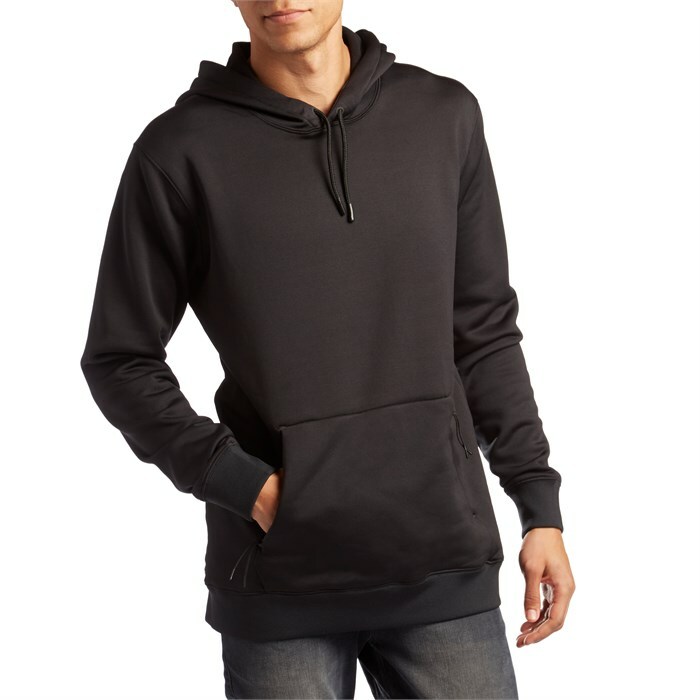 Were you looking for a stretchy and comfortable hoodie you can where just about anywhere? Because you're in the right spot. More than just your "basic" hoodie, the evo Polartec Pullover Hoodie is a water-resistant pullover made from premium Polartec jersey with a super soft microfleece lining. No frills, prints, color-blocking, overlays or embroidery - just your classic black and heather grey with the quality fabric and modern fit to match. Polartec® Power Stretch®  Polartec® Power Stretch® has the ability to retain warmth without restricting movement or agility during activities. The outer surface has a low-friction finish that reduces irritation when worn with other fabrics and increases overall abrasion resistance. The next-to-skin layer stays dry, breathable and comfortable by continuously transferring moisture vapor for rapid evaporation.